brandflakesforbreakfast: where WAS that chocolate factory? where WAS that chocolate factory? 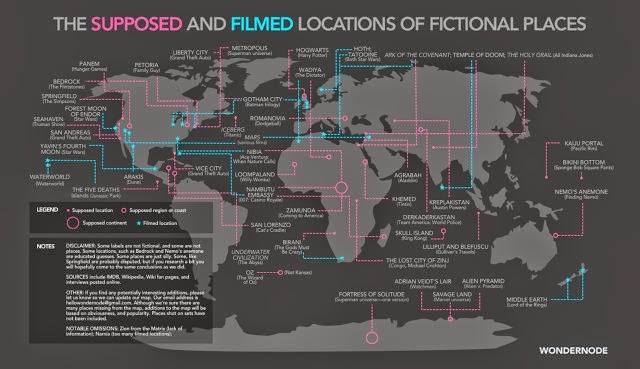 Some of our favorite movies take place in mysterious locations. 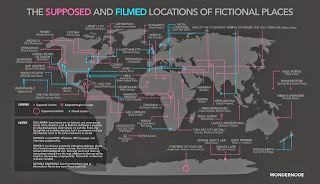 Now, thanks to Wondernode, there is a comprehensive map developed from info on IMDB and Wikipedia demonstrating the supposed and actual filming locations of some of our favorite films. Can’t say we ever would have pictured the whimsical Oz in the Southern Atlantic Ocean.